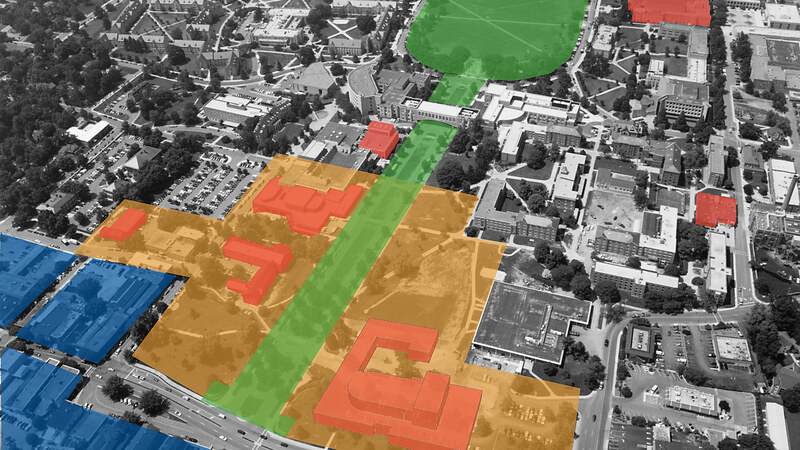 The Arts Precinct Plan for Virginia Tech outlines a vision for consolidating the arts at the front door of the campus, increasing outreach to the community, and demonstrating the University’s commitment to the arts. This initiative also sought to create greater efficiency and foster more synergy among the various arts programs on campus by improving and co-locating facilities through a combination of new construction and renovation. 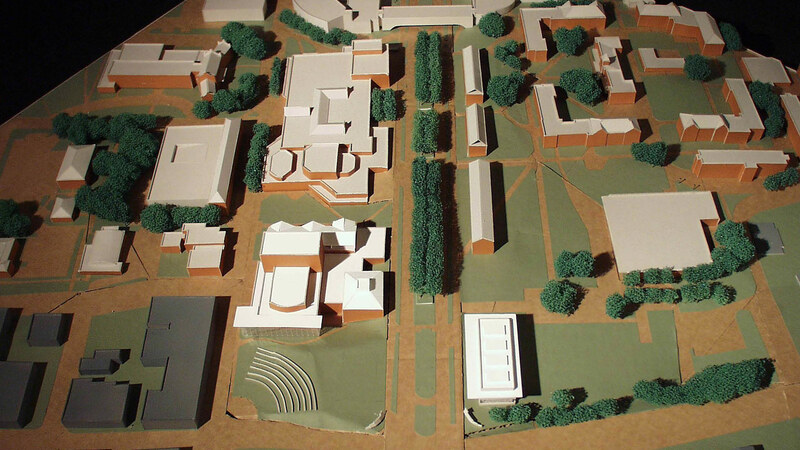 The centerpiece of the plan is a new 1,300 seat multipurpose performance hall built in conjunction with a new art gallery on the north side of Alumni Mall, the symbolic formal entry to the campus. The Performance Hall and Gallery is positioned as a beacon within the community at the edge of the campus and will provide a venue for both academic and touring programs. 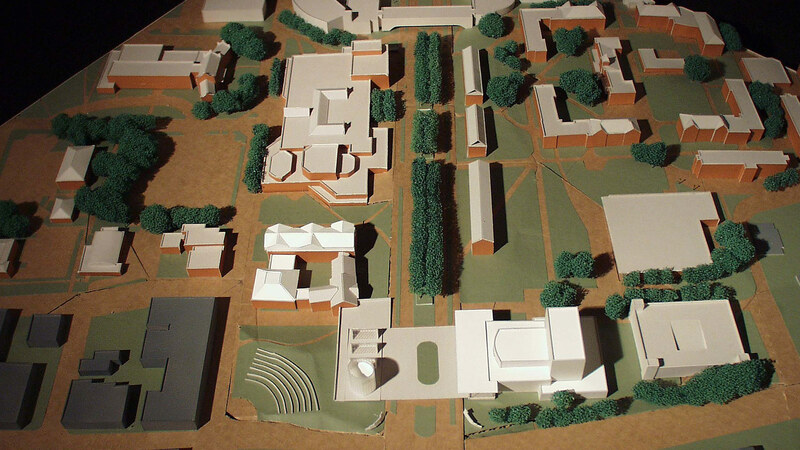 The other major component of the Arts Precinct Plan is a new Integrated Arts Center to be housed in the renovated and expanded Henderson Hall just across Alumni Mall on its south side. An entirely academic facility, Henderson Hall will integrate programs and facilities for the School of Performing Arts and Cinema and the School of Visual Arts. Together, these facilities will create a powerful synergy of arts related programs at the intersection of the University and the greater Blacksburg community. 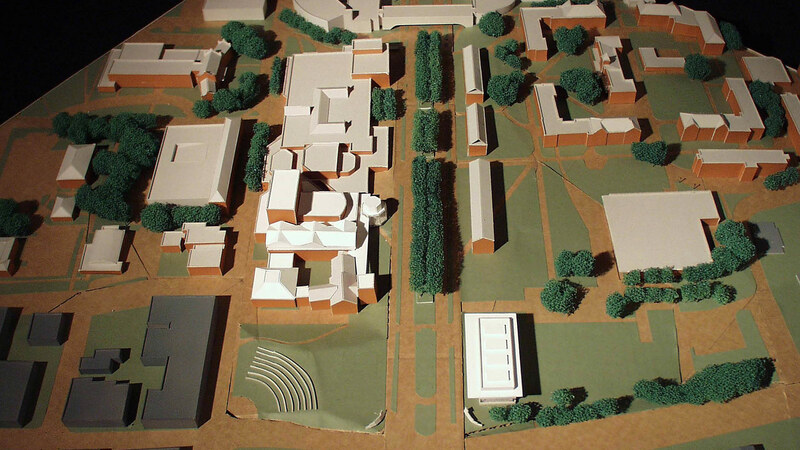 Isaac Campbell was the Project Designer and Planner for the Virginia Tech Arts Precinct Plan while at Boora Architects.